No, stop it. Stop right there. 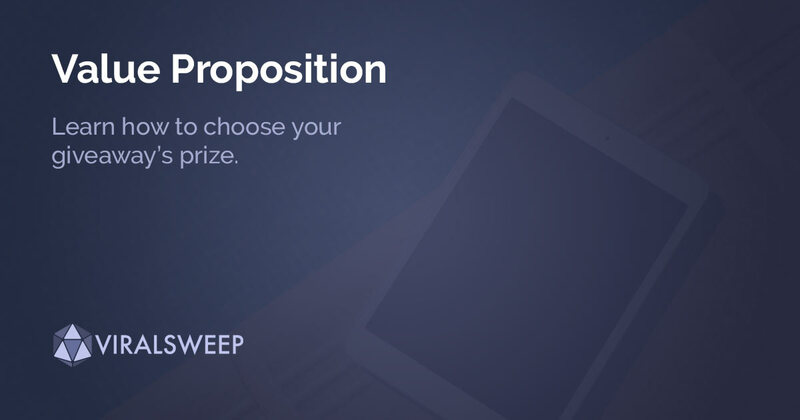 The value proposition is one of the most important parts of running a sweepstakes or contest. The success of your promotion depends largely on the prize, so if the prize does not align properly with your target audience, your promotion will under-perform. Is an iPad really relevant to what your business does? There’s a 99% chance that an iPad has nothing to do with your business, and while it may be something people want, it won’t attract the kind of people your business wants. Offer a giveaway prize relevant to your business. Your prize has to be a mix of something that is relevant to your business and something that your customers really want. If it is entirely one or the other, your promotion will not perform as well as you hoped. The prize is the leading indicator of how many entries your promotion will get, so an amazing giveaway prize is like steroids for giveaways. It’s worth noting: if you have major barriers to entry for your promotion (a long entry form, requiring Facebook login, etc) your promotion’s total entries will suffer. Here are two example promotions; one correct, one incorrect. These prizes work for this maternity store because each prize is directly related to the store, its products, and the desires of their audience. Since the value proposition is targeted, they will be able to build a list of qualified leads (in this case, pregnant women) who are interested in what they have to offer. Give the winner a choice. Ultimately, the winner should get to choose the exact size and color they want. A common mistake we see is when a store offers a specific color or specific clothing size for the prize. This can negatively affect a promotion’s results. Remember to be sensitive to your audience. The prize needs to appeal to everyone in your target audience, so you don’t want to restrict the prize to an exact size or color. The salon owner thinks that offering an iPad will excite her current and potential customers. She thinks an iPad will drive customers into the salon to purchase her services. The owner launches a promotion on Facebook, giving away an iPad. She promotes the giveaway online and in the salon by telling people to Like the salon on Facebook to enter their iPad giveaway. There are so many things wrong with this approach, yet we see these types of giveaways every day. Giving away an iPad on the salon’s Facebook page without any type of geographic restrictions on the promotion means that they will get entries from different cities as the salon. Even if the rules say the giveaway it limited to entrants from one city, most people don’t read the rules. Having people Like their Facebook page to win the iPad means they get no information about who those people actually are. So what if they get 2,000 likes? Not many of those people will turn into actual customers that go into the salon. Email is king. Build an email list before building a Facebook audience. You don’t own your Facebook audience. You can always leverage your email list to build a social audience, whether it’s an established social network like Facebook or a brand new one. The salon is only for women, so naturally they want to attract women with their promotion. Unfortunately, an iPad giveaway will also attract Bald-Guy-Bob. People who don’t care about the salon will enter just to win an iPad. Offering a prize that involves coming in to the salon would be a great improvement (and much less expensive than an iPad). What’s wrong with Facebook giveaways? Let’s say the promotion receives 1,000 entries. The salon owner might think her giveaway performed very well! The problem is that the people who entered were most likely just interested in winning an iPad and didn’t take the time to actually leave Facebook and look at the salon’s website. Very few customers, if any, will come into the salon, and most will un-Like the salon’s Facebook Page because they were only interested in the iPad. Simple ways the salon owner can improve her giveaway. In order to make this promotion a success, the salon owner should offer a giveaway prize that is related to her business. The salon owner could make a few small changes to massively improve her giveaway’s end results. Offering a free haircut or free highlights will attract the right type of audience. The promotion should be run on the salon’s website so people become familiar with the salon and its services. The salon should drive traffic to its website from all of its social channels. Even though the volume of entries may be much lower, they will be qualified leads which means that when the salon owner reaches out via email, they will be much more engaged and responsive. How to fix a weak value proposition. I’m going to give away a prize that is relevant to my business! The prize is a $10 gift card that people can use in my store! This is a weak value proposition because it’s not going to be worth people’s time. Most people won’t perceive it as being worth their time, even though every customer would undoubtedly say, “Yes!” if you asked whether they’d like $10 off of their purchase. If you couple a weak value proposition with a complicated entry process, you’ll be left scratching your head and wondering why your giveaway was so… blah. The value of the prize needs to be worth people’s time and get them excited, but not be so big that your company could suffer if the promotion does not do well. Additionally, making the entry process simple will increase the likelihood that people enter your giveaway. Expensive giveaway prizes don’t perform better. You don’t need to spend big to create impact with your giveaway. 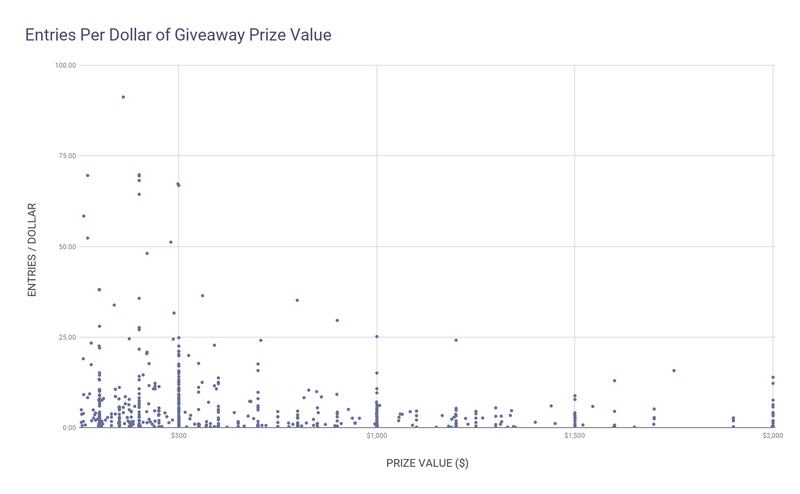 In fact, after looking at about 600 giveaways run on ViralSweep recently, we actually found that giveaways with lower prize values typically perform better. 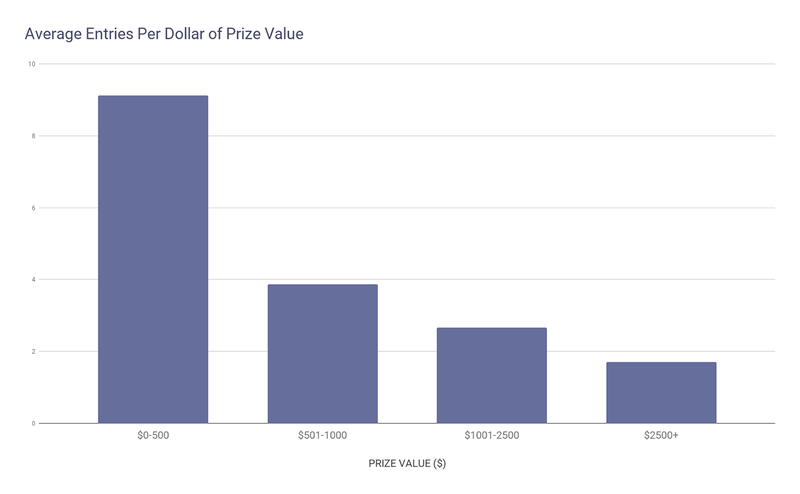 On a dollar-for-dollar basis, giveaways with less expensive prizes (under $500) tend to perform better than giveaways with expensive prizes ($1,000 and up). Most notably, your brand should choose a prize that suits your audience’s size. Promoting a $3,000 giveaway to an audience of 500 customers probably won’t bring you more than $3,000 of value. Learn how much a lead is worth for your brand. Consider running giveaways more frequently with lower prize values to quickly gain access to smaller niche groups of potential customers. If you do choose a larger prize, spend more time preparing and marketing your giveaway. 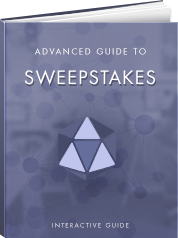 To learn how, read our Advanced Guide to Sweepstakes. Creating a strong value proposition. Answer the questions below to help you decide on the perfect prize for your giveaway. 1. What niche is my business in? (fashion, electronics, jewelry, sports, etc). 2 Who is the ideal customer that we want to target? 3. What is our budget for the prize? 4. We’ll have _________ winners. Note: If the prize value is below $50, we suggest having multiple winners. Having multiple winners will help to increase the customer’s chances of winning and boost the number of entries in your promotion. 5. What is the prize we will give away? 6. Is the prize something that people will care about? The prize and its value needs to be something that people get excited about. Offering a prize that feels “cheap” will turn people off. If your prize’s value is on the lower end of the spectrum, have multiple winners to increase the attractiveness of the promotion. 7. Does this prize align with our target audience, and ensure that we will build a list of qualified leads? If no, re-evaluate the prize choice before running your promotion. Ideal customer: Female, ages 18-25, single or married, income level of $51,000 and above. This simple format should help in coming up with a strong value proposition for your giveaway prize. You can even reach out to a few customers and ask them to suggest prizes they would like to win. Another idea would be to survey your audience by presenting them with several possible prizes, and whichever one gets the most votes you can use in your giveaway. The best giveaway prize is an amazing experience. Think outside the box and create a promotion that inspires or motivates your target customer—something more than just giving away your own product. In the example of the hair salon, it could be salon service and a night out for the customer to flaunt their new hairstyle. Turning your product into an experience is a great way to get your audience to think about how they would use your product and why it could be valuable to them. We guarantee the winner of the giveaway will have a story to tell their friends if your giveaway prize is an amazing experience. Would an iPad do that? Use our guide to grow your business, generate more leads, increase sales, and learn how to utilize sweepstakes as your most reliable marketing strategy. Steven Kovar Steven is the co-founder of ViralSweep, the viral marketing platform for businesses. You should find him on Twitter.